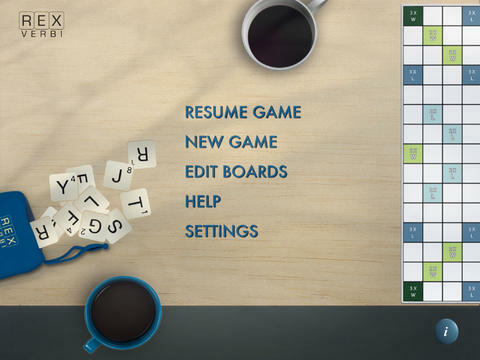 Rexverbi lets you play against your friends on a single iPad without the need of an internet connection. Can be played on the airplane or at remote places. 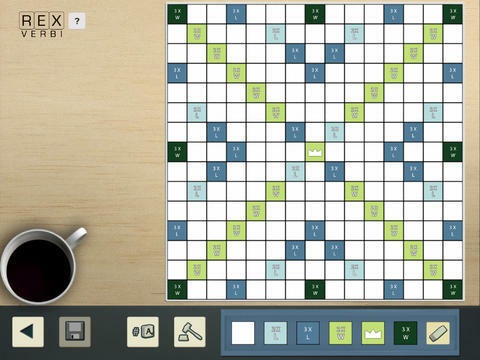 Rexverbi makes it possible for you to design your own boards and setup your own rules. It is even possible to make boards with holes. If you lack of friends, Rexverbi lets you play against three different computer players. 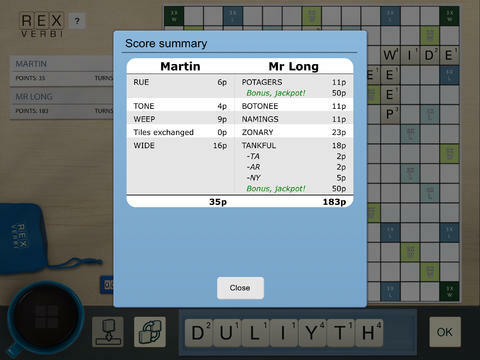 Mediocrates gives you a slack, Mr. long always aims for the longest word and maximillian maximizes his score. 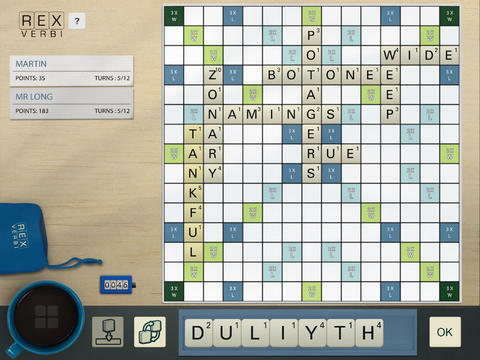 All events are logged during the game which makes it possible to see which words were played and their scores. 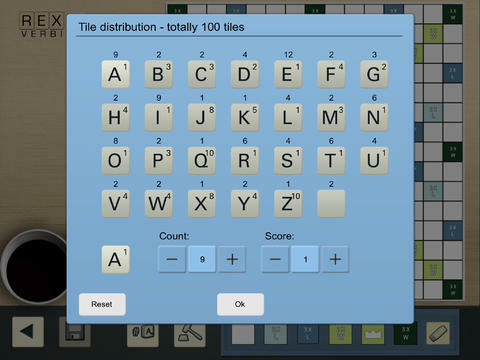 - If you feel you’ve exhausted everything Scrabble has to offer, then its ability to create new boards and configure settings will be right up your street. For more info, support or feedback, contact us!